The AA has its own strange internal toponymy: the Front Members’ Room (a reminder of the student / member segregation up to the 50s), the Soft Room (originally a 2nd floor den populated with smoke and cushions in the 70s), and of course Ching’s Yard, the name we all unthinkingly apply to that rather odd, awkward space at the heart of the school. Hemmed in between the Georgian frontage and the Inter-war back block, Ching’s Yard is infamous as the site many ‘happenings’ – it has seen a demonstration of Gustav Metzger’s ‘Auto Destructive Art’, it has been bridged, helter-skeltered into (1960s Carnival), and had gigantic Coke cans and parts of buses craned out of. Yet who on earth was Ching?? 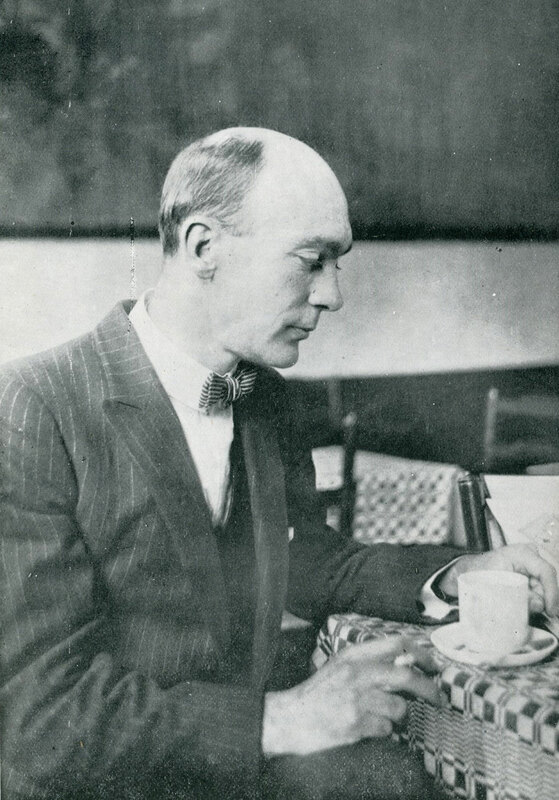 Born in Remeura, New Zealand, in 1888, William Thorne Wilmot Ching attended King’s College, Auckland and embarked on a promising architectural career in the offices of A.B. Wilson before setting sail for the UK, where he is first recorded as an AA member in 1909. From 1911-13 he attended the AA’s Evening School, followed by a final year at the Day School in 1913/14, from which he graduated, winning the prize for best Studio Work. On the outbreak of war, Ching volunteered for the King Edward’s Horse, received a Lieutenant’s commission in the Royal Field Artillery and was sent to the front in early 1915. He saw action at the infamous battle of ‘Hill 60’, near Ypres, where he gained the Military Cross for heroism, rescuing two injured colleagues trapped with burning ammunition in a gunpit under severe enemy shelling. He himself was the victim of a poison gas attack and, remarkably enough, was seriously injured three times within the space of two years. 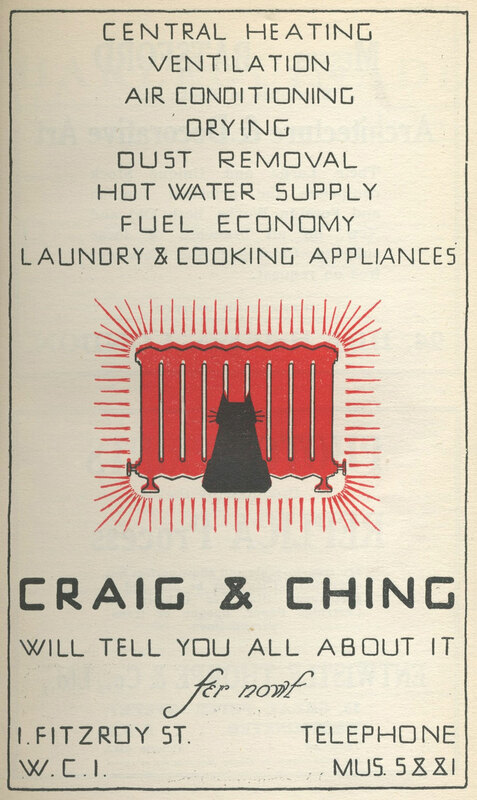 If the 1923 Harlequinade photograph of Ching, published on his resignation, was meant to depict him contemplating a radiant future in the heating industry, this was not to be. He married later that year but in the summer of 1924 went into hospital for an operation to mitigate the side-effects of the war-time poison gassing, only to die on the 21st July, 1924 after a second, unsuccessful operation. Originally published in AArchitecture, 27. AA Council Minutes 1920-27, AA Archives. British Army WW1 Medal Rolls index 1914-20. AA Journal, December 1916, p75; August 1916, p 33; October 1924, p89. Harlequinade, Vol.1, No. 3, October, 1923, p2. New Zealand Herald, 17 March 1915, p9; 5 October 1916, p.9; 25 July 1924, p8. Poverty Bay Herald, 9 October 1916, p8.